Here are a few sneaky pics from Gemma and Pete's lovely wedding. 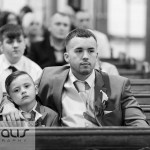 The ceremony was at the Parish of Saint John the Evangelist in Failsworth then we moved to the Macdonald Hotel in Manchester. I specialise in a reportage / photojournalistic style with my imagery. I am a photographer based in Shaw, Oldham and have worked throughout Lancashire, Greater Manchester and Yorkshire. If you want a relaxed, natural style of wedding or family portrait photography get in touch for a bespoke quote.